Have you found an online vendor selling Arehucas Golden? Honest molasses rum comparable to other commercial products such as Havana Club or Varadero. It’s perfect for rum and cola or other mixers. Tasted plain it’s quite average, not many flavours apperars (a tiny note of vanilla and fruit) but it’s in my opinion a bit smoother than its competitors mentioned before. Na Arehutas je nejzajímavější to, že Evropan může vcelku bez problémů zajet přímo na místo kde tento rum vzniká, na Gran Canarii. Prohlídka palírny v Arucas je opravdový zážitek jak pro oči, tak pro chuť a hlavně pro čich. Kdybych v Arucas nebyl dám asi o 1-2 lahvičky méně. En perfekt rom & cola rom. Ingen riktigt höjdare men helt klart så ska den inte underskattas. Nose: a bit fruity and sweet but also a smell of alcohol. Rather shy. Palate: thin, (diluted?) alcoholic, no volume, no body, not much taste. Actually pretty easy rum. Nothing special or complex, but tasty nonetheless. I'd easily recommend this over e.g. a Havana Club 3 anejo, which I don't like very much. Nothing bad to say about it. This is my refferent rum as far as I'm from Gran Canaria, where it is made. Pretty much like Brugal Añejo. Sweet and a bit wishy-washy rum, usually used by spanish teenagers to mix with Coke. Nothing I would suggest for a serious drink. But by far not the worst! Average sweetness and easy to drink (no harsh alcohol). Overall lacking taste: perhaps some liquorice, honey. 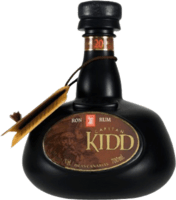 As the ratings show, opinions vary widely regarding this rum. Personally I think it's pretty good. Not great, but pretty good nonetheless. It has an appealing deep amber color and an inviting aroma both in the bottle as well as a snifter. It has an initial sweetness when tasting and a nice butteriness. A little bit of a warm burn but the ABV is slightly less than that of typical rums. Definitely tingles the tongue. Look forward trying this in Coke Zero. A nice rum. De lo peor que he probado... ni siquiera merece llamarse ron. Sabe y huele a alcohol y nada mas, no se lo recomendaria a nadie. Didn't like it at all. Terrible flavour (can't even say what flavour), sweet, not nice at all. Für mich ein durchschnittlicher Rum zu mixen. Nicht voll im Geschmack. Zu alkoholisch.